Freaking out over doing your Christmas Holiday shopping? Don’t know how to come up with an original gift idea? Or have you finished your preparations already and you now feel like it’s time to take a short break? I have the perfect solution and weekend tip for you! 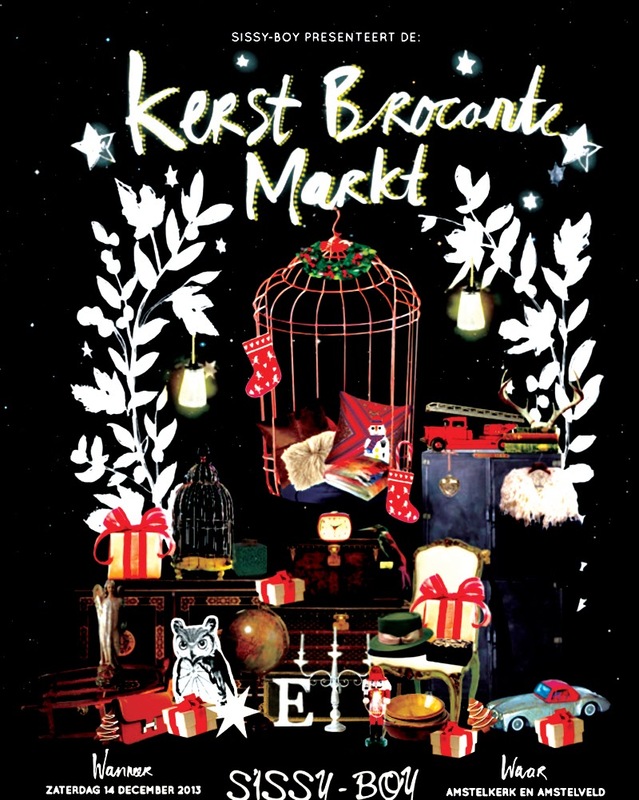 On Saturday the 14th of December you can visit Sissy Boy’s Brocante Christmas Fair, which will take place in Amsterdam. 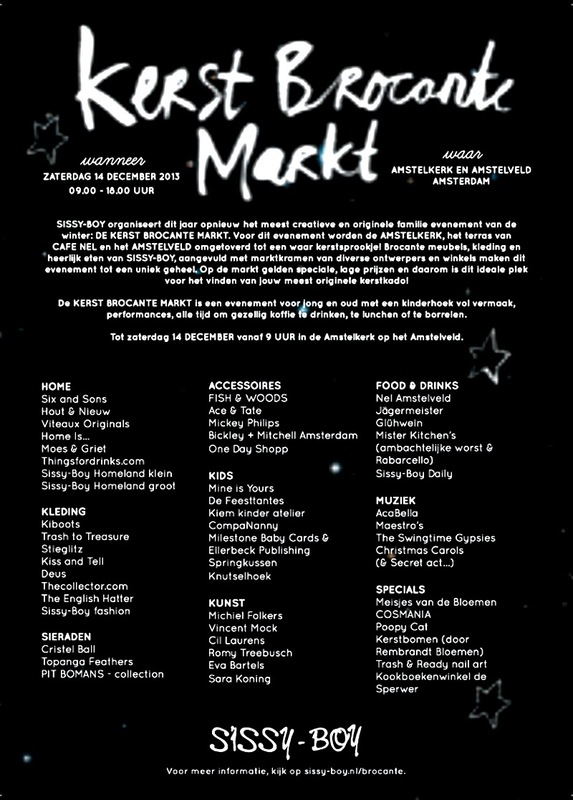 ‘Het Amstelveldje’, ‘de Amstelkerk’ & ‘Café Nel’ will be the playground for this cool initiative and if you are in search of; Art, design, brocante, music, food and especially loats of fun, this will be the place to be! Find out more info below (only in Dutch, sorry)! Enjoy!